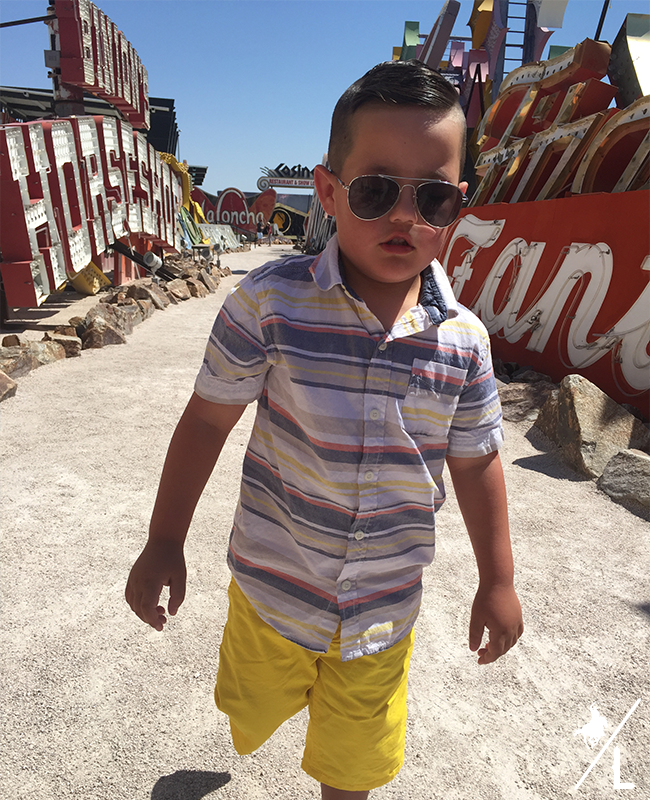 When visiting Sin City, take a break from the strip and take a tour of the the Neon Museum. Walk down memory lane and check out some iconic Las Vegas Signs. 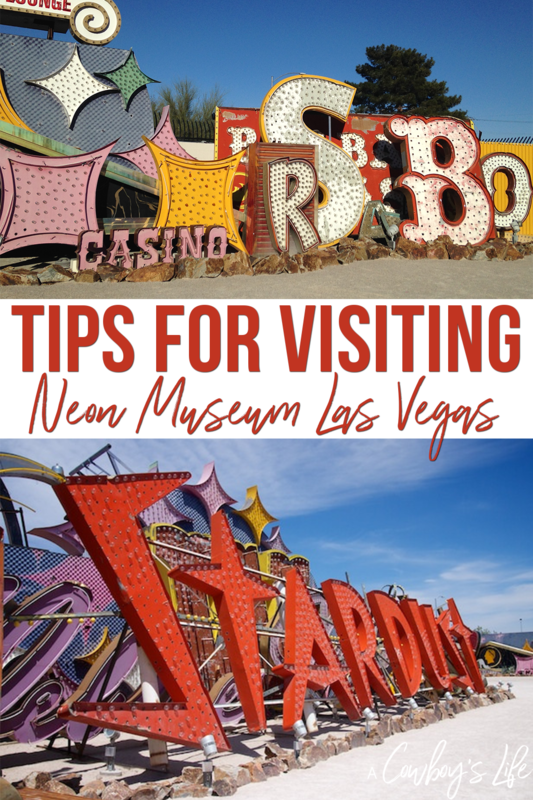 Visiting the Neon Museum has been on my bucket list for years, but we never managed to make it happen. But while vacationing in Las Vegas a few weeks ago, we finally made it to the museum. Also known as The Boneyard, it is the final resting place of old signs from around the city. We booked our tour weeks in advance because it sells out quickly. Thinking the 10 am time slot wouldn’t be so hot – WRONG! It was a sweltering 115 during the tour. Despite the heat, it was worth sweating and getting pictures of old school Las Vegas. If you are ever in Vegas, I highly recommend visiting the museum. It’s about 10 minutes from the strip and is a fantastic hidden gem of the city. Book your tour early – They only allow 22 people at a time in the museum, so be sure to order tickets before going. Because the museum is outside, I suggest going early – especially in the summer. Where close toed shoes – The tour is on a dusty, gravel path. So your feet may get dirty and there may also be glass on the walkway. Limited camera equipment – They do not allow backpacks, large bags, tripods or additional camera lens. Photoshoots are prohibited – but they do offer photo walks and it’s available to book a photo shoot. I have never been to vegas but if I went I think I would want to see some of the vintage architecture as well. Looks like your little one fits right in. Last time we were in Vegas this was on my list to do but our friends didn't want to go. So I will make sure to visit for sure on a future trip! I never even heard of this place! I'm definitely going to have to check it out next time we visit Vegas. This truly is a hidden gem!! I would definitely love to visit this museum when I head out to Vegas again! I've Never Been To Vegas But We Will Have To Visit If We Do My Son Would Love This. I Can Imagine All The Cool Stuff That Is There! !